Aila is fascinated by shoes. 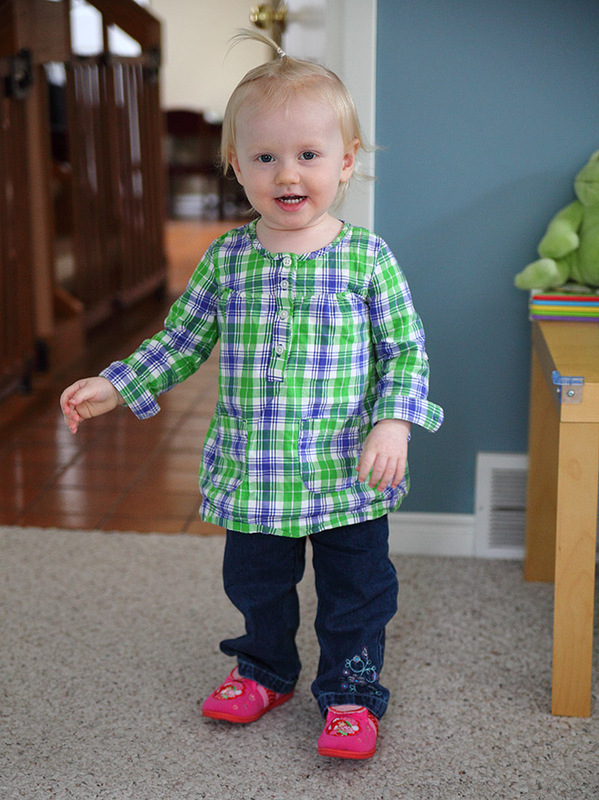 We took her out to shop for some rain boots, because her winter boots were coming home absolutely soaked from daycare. As soon as she got to the shoe department, she zeroed right in on these bright pink Strawberry Shortcake slippers, and would not leave without them. What can you say? The girl loves shoes and she loves pink! I think they suit her very well. Technical details: This photo was taken with my 5D Mark II + Tamron 28-75 at 62mm, ISO 1600, f/2.8 for 1/125th of a second.